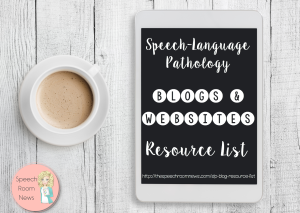 Our February Feature today is from Jenn at Crazy Speech World! Jenna is from Florida, so we can all be jealous of the weather she has right now! Here, There, Everywhere: Speech Service Delivery in the Schools One of the reasons that I love working in the schools (besides summers off!) is the way we can impact a student across their school day. 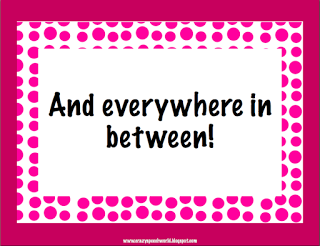 When working in private practice you don’t have the luxury of walking down the hall to speak to a teacher or have a lunch bunch or work on checking out library books very easily…but in the schools, you have access to variety of environments. If you sit to consider a students’ day, it is typically going to include class time, recess, lunch, and specials… at the very least. 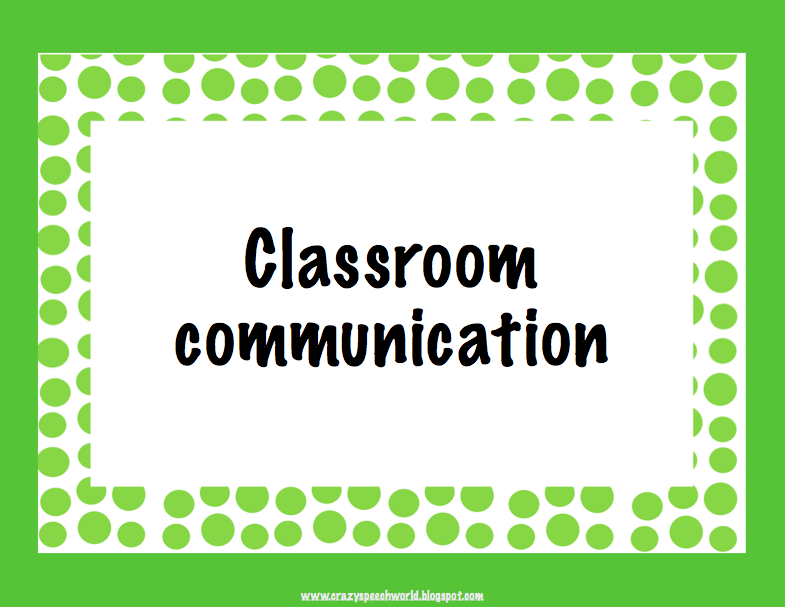 These are all opportunities to build communication skills! You know the drill…I go grab my group, I lead them like a mama duck back to my room, and have therapy. I like this part of my job cause I control it. I get to be in charge, make all the rules, and they have to do what I say. 🙂 What kind of therapy do I like to do in my room? 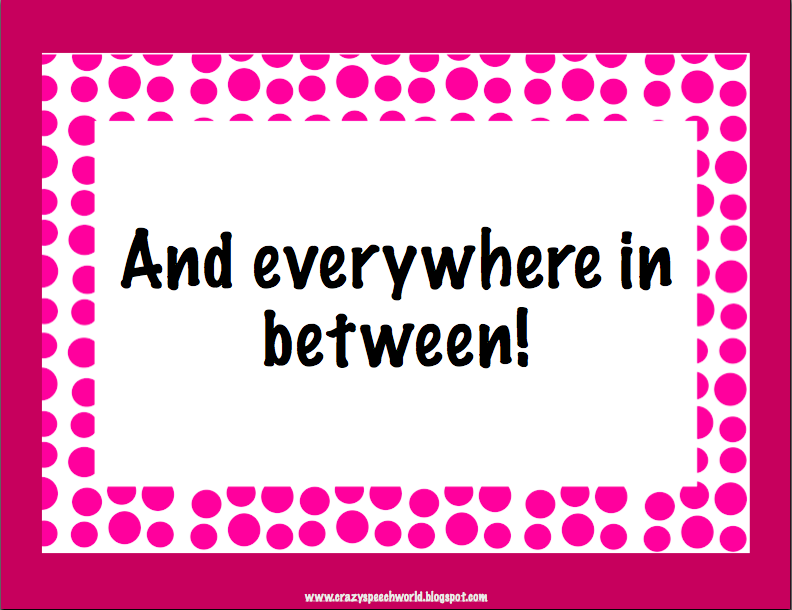 Articulation…I have done this in my room, in a classroom, and in the hallway and I find that the best place is my room for the majority of the time. 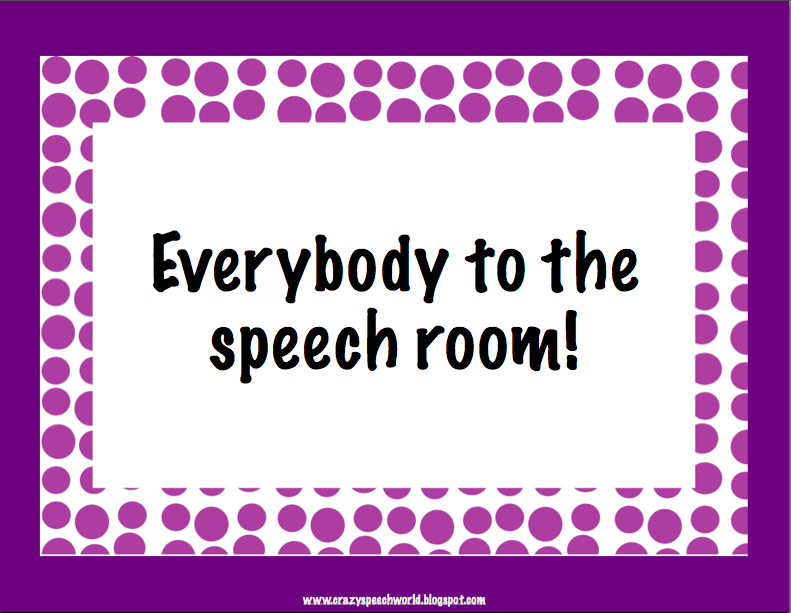 Fluency…While I am a total proponent of the pop-in to see if a student who stutters is using fluency techniques during classroom conversations, I think fluency kiddos need this safe place to call their speech home. Counseling is so much a part of therapy for these guys! Pragmatics – Introducing a new skill to practice before heading out to the real world is good, especially when you are talking social skills. Find teachers you work well with. I have had great luck with inclusion teachers who have background in ESE…they usually know more about me and my role, so they are easy to work with. Start here and your reputation will build. Be flexible. You are entering someone else’s turf, so you have to put yourself in their shoes and be a team player. Literacy centers are a very easy way to support communication. I have run my own center in some classrooms, differentiated for my students based on their goals. Writing is a great area to push in for and it might be my favorite! Great way to work on syntax and vocabulary! 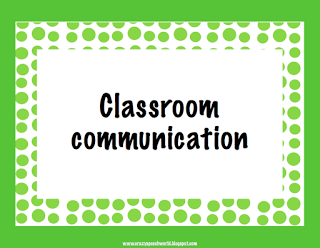 Functional communication skills and pragmatic interventions often NEED to be implemented in the classroom for generalization. Don’t be scared to take hold of the whole class! Co-teaching means you are teaching WITH the teacher. Plan, plan, plan. Implementing services in the context of a classroom requires tons of planning with the teacher and good communication…but we are the best at that, right? Lunch…this is a great time to work on social skills, functional communication, fluency practice, and articulation carryover. Go pop in the lunchroom for a few minutes or plan to have lunch with students every week. Either way, they love to see you there and they get added practice! I also know many SLPs who hold a lunch bunch for social skills groups, which is awesome! Recess…again with all of the above. Outside…I have also been know to march a group outside in gorgeous weather to hold a therapy session. A nature walk is great for expanding language and gets us out of a rut. We happen to have gardens at our school which are also good for building language. Specials…transitions seem to be an issue for many of our kids and the lack of structure in special classes like music, art, and P.E. can throw them for a loop. This is a great place to work on communication and coping skills. I am of the firm position that it depends on the child as to what service delivery option works for them. 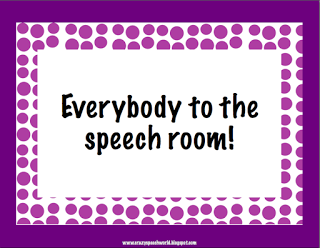 Some students need resource, in my speech room, and that is how they learn best. But I also have students who I need to think outside the box for to help them meet their goals. Do you ever step outside your speech room to do therapy? What do you find you love about? What are the challenges? 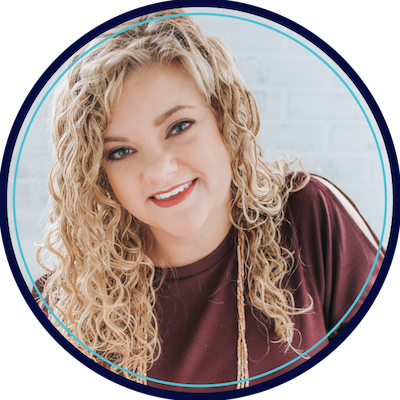 Jenn Alcorn is a school based Speech-Language Pathologist in Florida. She has been practicing for 5 years and currently works with students from grades PK to 8. Jenn is also the author of Crazy Speech World. Head over there and check it out! Make sure to follow her on Twitter, Facebook, and Pinterest! Love this post Jenn! I am a special education teacher in an autism classroom and absolutely love working with my SLP. We are able to collaborate to create great classroom based and generalization activities! Thank, Sasha! 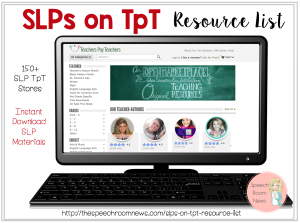 So happy to hear that you have an SLP collaborating in your classroom…I know it is so important in those autism rooms! Great post! I believe in ALL of these approaches. I would just add also that I am a firm believer in being present during field trips (if the schedule allows you to do so). SO MUCH language and social communication opportunities in one day! Of course you can also work on artic and fluency as well. Working in ECSE is a PERFECT place to take advantage of field trips. Also field day (if you administrator will allow you to be a floater), I could really see students in their element during field day. Great way to work on carryover at the end of the year! Again, awesome post. I love your passion for getting out of the therapy room and into the child’s world (as appropriate of course)!!! Well done! Thank you! That is another great idea! I wish I had the capability to do field trips with my kids. I know many of the SLPs in my district who serve the high schools are able to do the Community Based Intervention and it is great for them!